Product code: ES6506 Categories: Sold Items, Sold Jewellery. 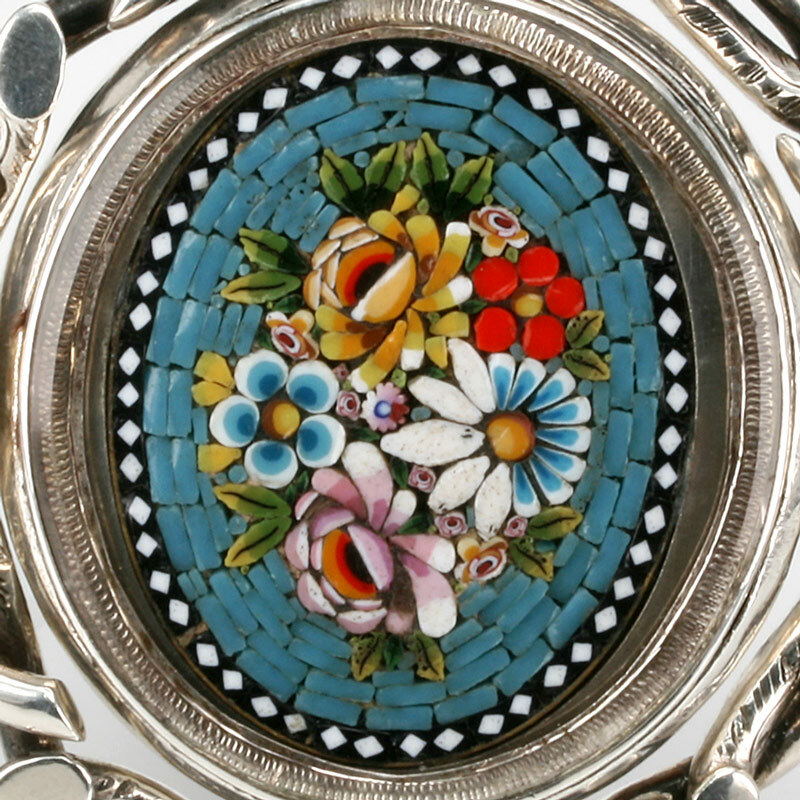 Micro mosaic jewellery is where an artisan will get tiny fragments of coloured tiles and arrange them into a pattern or scene such as in this magnificent antique micro mosaic brooch from the Victorian era. Set in a very large sterling silver mount, this micro mosaic brooch was made in Birmingham in 1860 and gets even more amazing once you realise that there is a locket on the back. And then not only is there a locket, but the entire middle section of the mosaic and locket swivels around allowing one to display the locket section at the front. The sterling silver mount has such a wonderful tactile feel to it and measures and incredible 5.9cm by 6.1 cm and the mosaic/locket section itself measures 4.3cm by 4.6cm making this charming brooch really stand out on any outfit. Micro mosaic jewellery is incredible especially when you consider the amount of time that went into creating it, and when it is made into a wearable brooch with a locket, this becomes even more special.